Pinnacle Etobicoke is a master-planned community in Etobicoke's downtown Islington City Centre. Located at 5475 Dundas Street West, this development will give easy access to the Kipling Go station, Downtown Toronto and Mississauga as well as Pearson Airport. 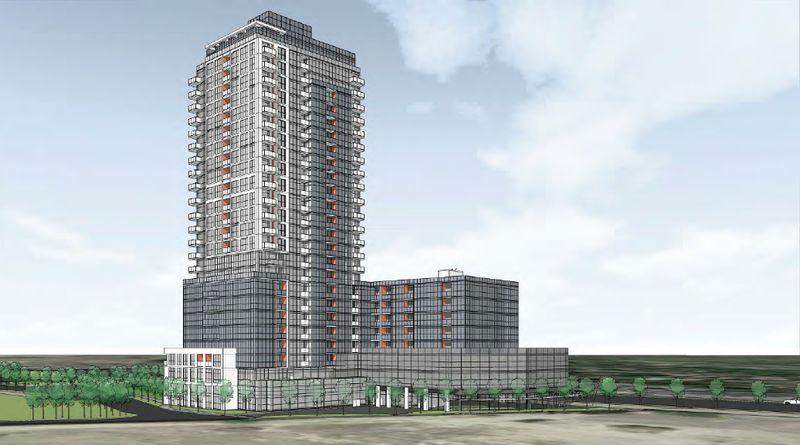 The first phase will rise 25 stories and have an estimated 250 units for available for sale. The majority of the units will be made of one bedroom and one plus den units, with the remaining bulk being two bedroom and three bedroom units. Pinnacle Etobicoke Condos is located at the heart of the New City Centre, close to Kipling station, Kipling Go Station, and major highways 427 and QEW/Gardiner. This master planned community will include up to 9 condominiums along the Dundas and Kipling Corridor. 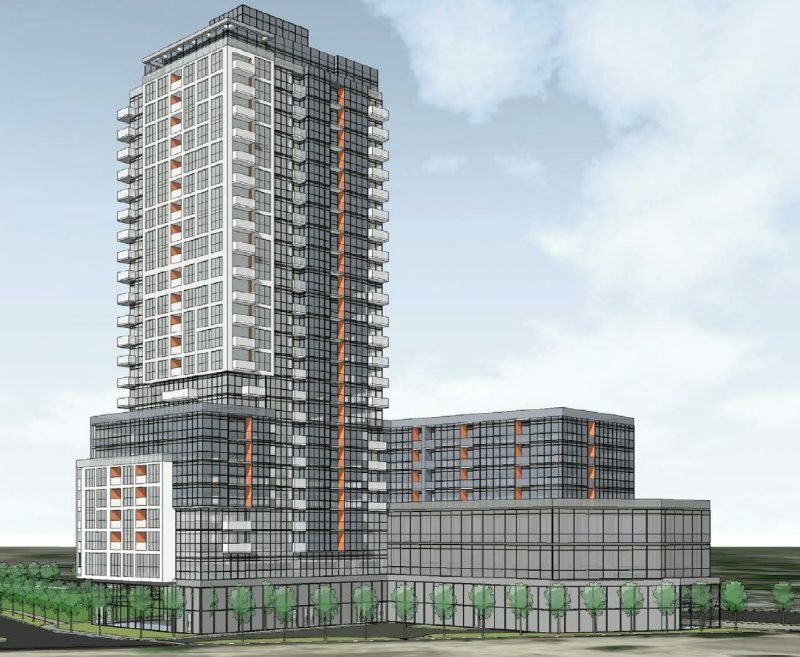 Phase 1 of this project will feature a 25 storey condo at the North East most corner of the development, making the first phase the closest condo to Kipling station. The plan submitted to the city of Toronto also includes a 2,645 m² public park site immediately to the west of the proposed 25 storey tower. 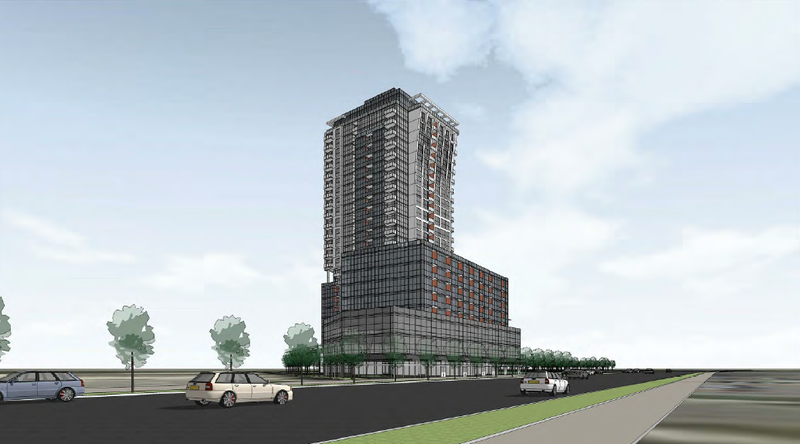 Pinnacle Etobicoke Condos is located at the epicenter of the Greater Toronto Area (GTA). Minutes access to Downtown Toronto, Mississauga, and Pearson International airport make this the perfect location for any commuter. Pinnacle Etobicoke boasts excellent transit and walk scores. It will be located a short 10 minute walk to Bloor-Danforth Line at Kipling Station, giving you access to Toronto’s TTC subway line, as well as Kipling GO train. If you prefer to drive, you are a short 5 minute drive to the 427 North/South highway. Finally,affordable car rental services from Zipcar are a short 5 minute walk away. Pinnacle Etobicoke Condos will be launching shortly to select brokers. Don’t miss your chance to be the first to pick your dream unit in this master-planned community. Register today to stay informed on prices, floor plans and availability.